It's easy to make your own gourmet chocolate at home. Put it in a fancy jar, and it's great for gifts, bake sales, or fund-raisers. 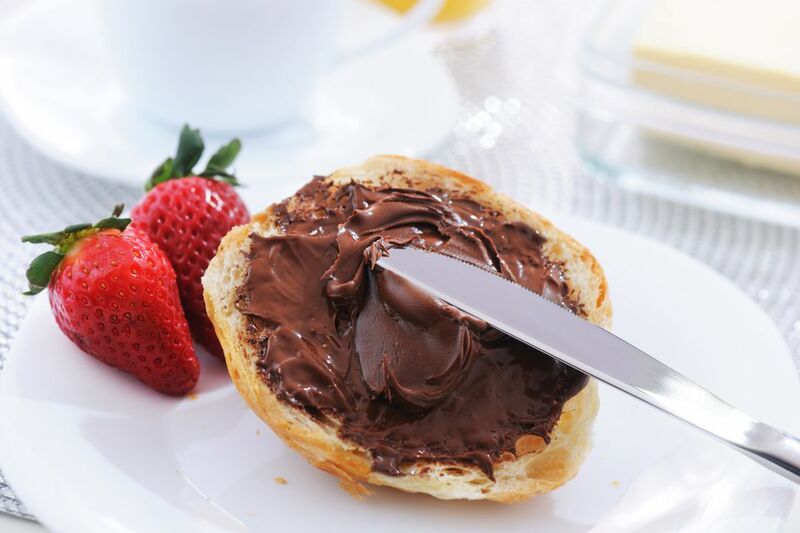 If you love Nutella® you will probably enjoy this tasty treat as well. It's great on toast, waffles, or on a plain sandwich. Try using it also as a dip. Melt chips in a double-boiler or in the microwave until smooth. Take care not to scorch the chocolate. Let cool until barely warm, but still liquid. Scrape melted chocolate into a large bowl. Add , butter, sugar, and extract. Stir until thoroughly combined. Mix instant coffee with hot water until completely dissolved. Add to the chocolate peanut butter mixture until combined. Scrape into glass jars with tight seals. Serve as a with , crackers, or toast or use as a filling for . Pretty jars of chocolate peanut butter make great gifts for any occasion and also work well for bake sales and other fund-raisers.